Here’s a new piece I’ve been working on. It turned out cute! 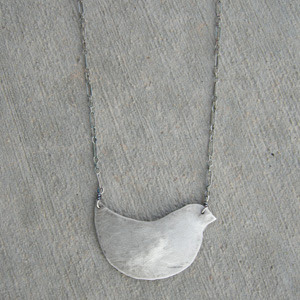 It’s a cute little birdy hand cut from Sterling Silver then oxidized for an antique look and hand-polished. Just added to my website ! Okay, so I was going to say “so cute”, but it was already said, so I will say, I love it! I love it!! !..Where can I buy it???? You can buy it on my website..
oooooh this is fabulous!!! Great job!! this just may be my favorite.